Only John’s Gospel makes Thomas a significant character. The other three Gospels merely list him as one of the disciples. 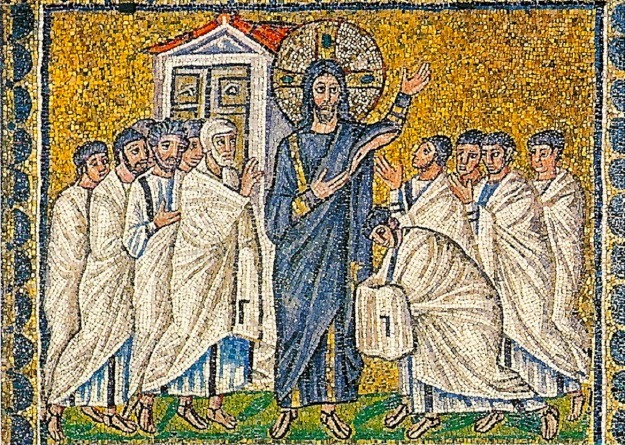 In John’s version of the life and teachings of Jesus, Thomas figures in three episodes. 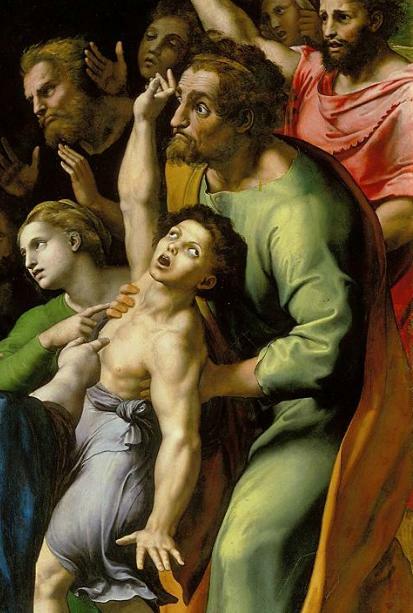 In the Lazarus episode, when Jesus decides to go to raise Lazarus, Thomas says, “Let us also go that we may die with him.” (John 11:16) A strange saying. Did he say it sarcastically? And then there is the episode we read today, on this Sunday of Thomas. 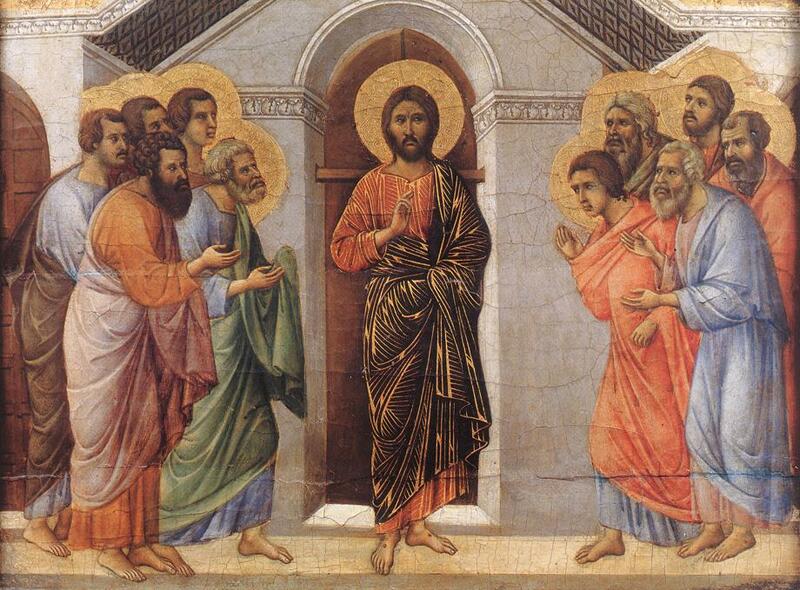 Thomas stands apart from the other disciples, because of his disbelief. Perhaps that is the reason why he went in the opposite direction from the other disciples. While they went north and west and south, church tradition tells us that he went east, to India. Most Christian churches in India claim Thomas as their founder. Maybe he even traveled as far as Missouri, the “Show Me State” – because Thomas is a show-me kind of person. Belief is the central message. Note how John ends the narrative: Now Jesus did many other signs in the presence of the disciples, which are not written in this book; but these are written that you may believe that Jesus is the Christ, the Son of God, and that believing you may have life in His name. Believe in order to have life. Jesus did not come so that we would believe in certain statements about God and Jesus. Yes, the Creed is important and is valuable as a community statement of commitment – as we do at every Liturgy. But Jesus came with a message – and we are not called to believe the message, but rather to live the message! And that is why Jesus gave a new commandment: that we love one another, that we love as Christ loved us, that we love as the Father loves the Son! When Jesus or the Gospel said “Believe” it meant “Trust”. Do you trust the Lord enough to do what he commands? That’s the key question for us today. 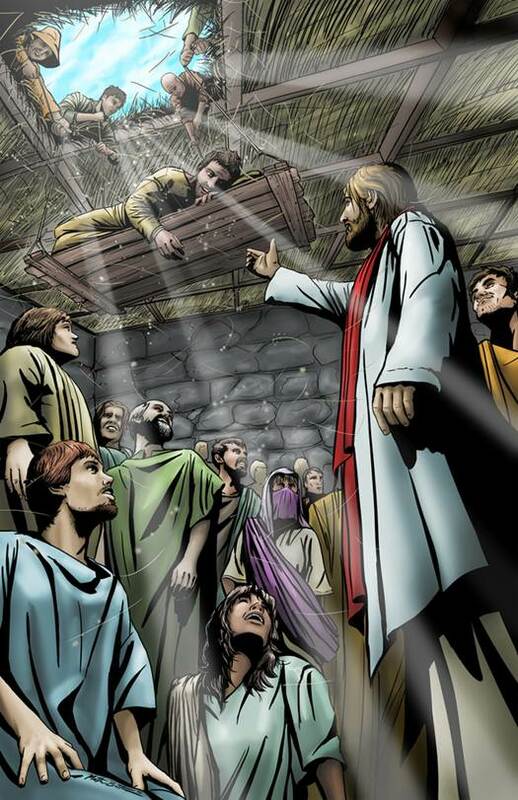 He breathed on them, Receive the holy spirit. 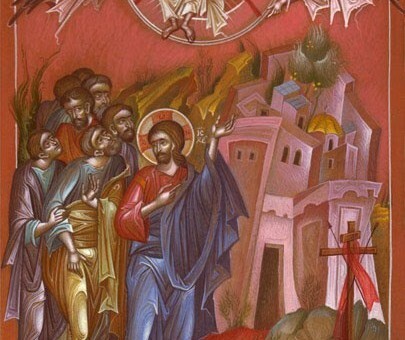 This is not Pentecost, or a preview of Pentecost! This is an echo of Genesis, when God breathed into Adam, and Adam became a living being (Genesis 2:7). It was the breath of life in Genesis – it is the breath of new life here! Both in Hebrew (rûaḥ) and in Greek (pneuma), the word translated as spirit also means breath, wind. Receive holy spirit (pneuma aghion) – receive the spirit that allows you to forgive one another. If you forgive the sins of any, they are forgiven; if you retain the sins of any, they are retained. This is is not a granting of power to the disciples! This is a responsibility, a heavy responsibility! Think how serious it is if you don’t forgive! The spiritual damage that can result from an unforgiving heart – both to the person who is not forgiven and to the person who refuses to forgive. The consequences could very well be eternal. Human spirit cannot fathom this, only a spirit of holiness, a spirit of new life, a spirit of divine grace, can understand the meaning of forgiveness! This is powerful stuff, that has been turned into priestly authority by the church. “Sad” – as our President might tweet. All translations use capitals: “Receive the Holy Spirit.” But the Greek text of the New Testament never uses capitals, even for God. We add the capitals. And perhaps we miss the real weight of Jesus’ words and action. He breathed on them and said, “Receive holy spirit.” Only by a spirit that is holy can we truly live, truly love and forgive. Do we trust enough to live in holiness? May the breath of Christ give us life today! Categories: Sermons | Tags: doubting Thomas, Holy Spirit, Jesus breathed, spirit, Thomas, trust | Permalink. I love reading from Bonhoeffer’s writings, especially in the series of the complete works in English translations put out by Fortress Press. 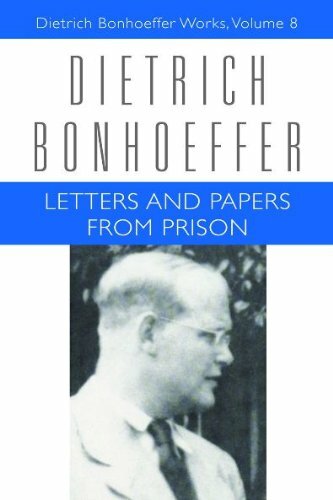 Bonhoeffer is perhaps best known for his “Letters and Papers from Prison,” written between April 1943 (when he was arrested for conspiring against Hitler) and January 1945, three months before he was executed by the Nazis. These letters and papers were published after his death and became classics of Christian faith and expression in the 20th century. Today I came across this letter, dated May 29, 1944, and I want to share it here with you, from the translation in the Fortress edition. It was written to Eberhard Bethke, Bonhoeffer’s closest friend and the one who did the most to get these “letters and papers” published after the war. It is the kind of “Christian” writing that is so absent in the superficial Christian “religious” writings of today. Bonhoeffer could stand comparison to any of the giants of Christian history. Note how he speaks of the “fullness of life” from his own perspective of imprisonment and war, and how Christianity puts together the fragments of our lives. I love his calling life “polyphonic” – surely inspired by his great love of music. What he wrote in the concluding paragraph about God as the “stopgap” is extraordinarily important. He rejects any notion of God being the god of the gaps! “God is the center of life and doesn’t just ‘turn up’ when we have unsolved problems to be solved.” Perhaps this is part of what we mean when we declare on Easter night, “Christ is Risen, and life politeuetai!” And I do not translate that Greek word, because I want to write an article on just that word. But please do read this letter of Dietrich Bonhoeffer. Read it more than once! It’s the answer you may need for many questions in your life. TRULY THE LORD IS RISEN! I hope that despite the air raids you both are enjoying to the full the peace and beauty of these warm, summery days of Pentecost. Inwardly, one learns gradually to put life-threatening things in proportion. Actually, “put in proportion” sounds too negative, too formal or artificial or stoic. One should more correctly say that we just take in these daily threats as part of the totality of our lives. I often notice hereabouts how few people there are who can harbor many different things at the same time. When bombers come, they are nothing but fear itself; when there’s something good to eat, nothing but greed itself; when they fail to get what they want, they become desperate; if something succeeds, that’s all they see. They are missing out on the fullness of life and on the wholeness of their own existence. Everything, whether objective or subjective, disintegrates into fragments. Christianity, on the other hand, puts us into many different dimensions of life at the same time; in a way we accommodate God and the whole world within us. We weep with those who weep at the same time as we rejoice with those who rejoice. We fear—(I’ve just been interrupted again by the siren, so I’m sitting outdoors enjoying the sun)—for our lives, but at the same time we must think thoughts that are much more important to us than our lives. During an air raid, for example, as soon as we are turned in a direction other than worrying about our own safety, for example, by the task of spreading calm around us, the situation becomes completely different. Life isn’t pushed back into a single dimension, but is kept multidimensional, polyphonic. What a liberation it is to be able to think and to hold on to these many dimensions of life in our thoughts. I’ve almost made it a rule here for myself, when people here are trembling during an air raid, always just to talk about how much worse such an attack would be for smaller towns. 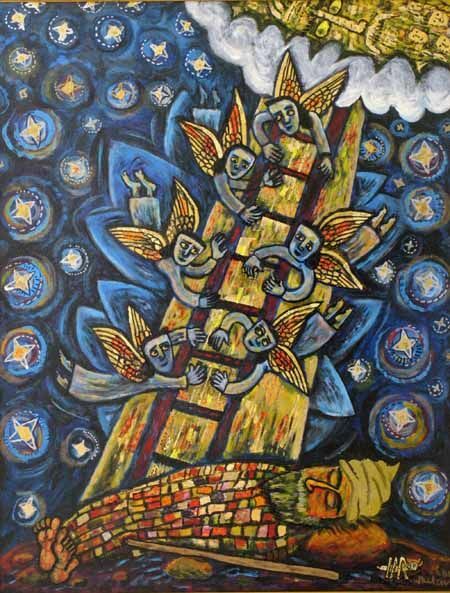 One has to dislodge people from their one-track thinking—as it were, in “preparation for” or “enabling” faith, though in truth it is only faith itself that makes multidimensional life possible and so allows us to celebrate Pentecost even this year, in spite of air raids. At first I was a bit disconcerted and perhaps even saddened not to have a letter from anyone for Pentecost this year. Then I said to myself that perhaps it’s a good sign, that no one is worried about me—but it’s simply a strange drive in human beings to want others—at least a little—to worry about them. Weizsäcker’s book on the Weltbild der Physik continues to preoccupy me a great deal. It has again brought home to me quite clearly that we shouldn’t think of God as the stopgap [Lückenbüßer] for the incompleteness of our knowledge, because then—as is objectively inevitable—when the boundaries of knowledge are pushed ever further, God too is pushed further away and thus is ever on the retreat. We should find God in what we know, not in what we don’t know; God wants to be grasped by us not in unsolved questions but in those that have been solved. This is true of the relation between God and scientific knowledge, but it is also true of the universal human questions about death, suffering, and guilt. Today, even for these questions, there are human answers that can completely disregard God. Human beings cope with these questions practically without God and have done so throughout the ages, and it is simply not true that only Christianity would have a solution to them. As for the idea of a “solution,” we would have to say that the Christian answers are just as uncompelling (or just as compelling) as other possible solutions. Here too, God is not a stopgap. We must recognize God not only where we reach the limits of our possibilities. God wants to be recognized in the midst of our lives, in life and not only in dying, in health and strength and not only in suffering, in action and not only in sin. The ground for this lies in the revelation of God in Jesus Christ. God is the center of life and doesn’t just “turn up” when we have unsolved problems to be solved. Seen from the center of life, certain questions fall away completely and likewise the answers to such questions (I’m thinking of the judgment pronounced on Job’s friends!). In Christ there are no “Christian problems.” Enough on this; I’ve just been interrupted again. Categories: Global Visions, Radical Christian Thoughts, Theology | Tags: Dietrich Bonhoeffer, God of the gaps, Letters and Papers from Prison | Permalink. 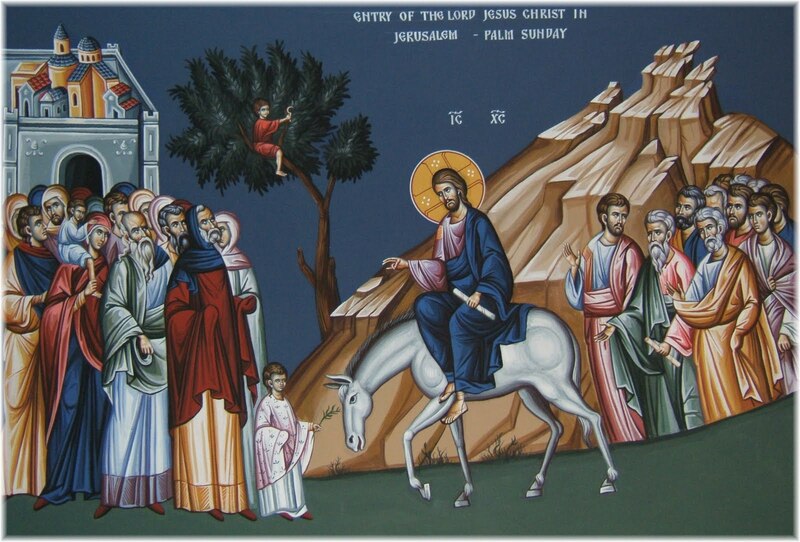 Categories: Sermons | Tags: Holy Week, Jerusalem, Palm Sunday, Pontius Pilate | Permalink.